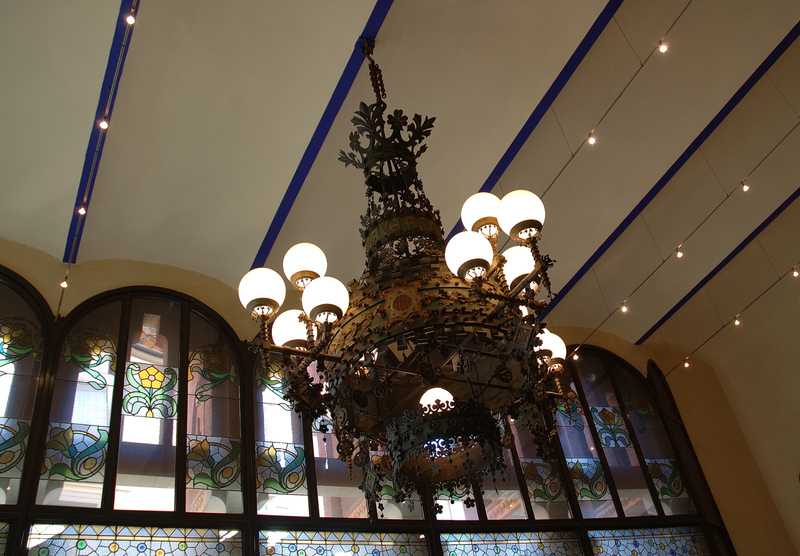 This incredibly elaborate art nouveau lamp can be admired inside Palau de la Mùsica Catalana, the famous concert hall built in 1908. Visit this wonderful site called The Route of Modernisme to learn more about this masterpiece of architecture. it must be very beautiful to decorate the hall with it.